First may I wish you all a very Happy New Year! 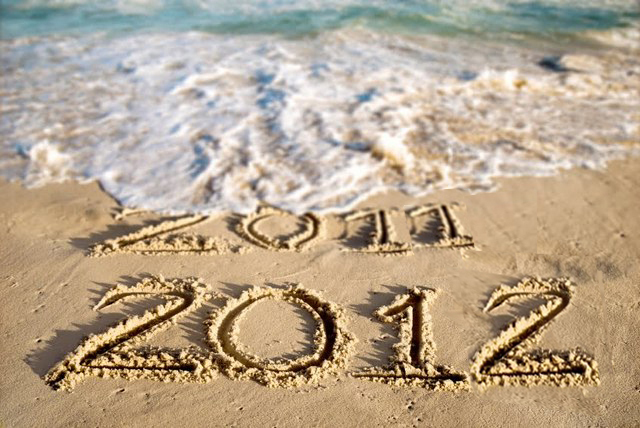 2012… The much talked about year is finally here. I think everyone is truly wondering what 2012 will bring…Unrest and violence in many ares of the world, natural disasters, famine, political and financial insecurity and doomsday prophecies combine to make people anxious and uncertain. This is compounded for many as they don’t have the certainty of faith to know that this time on earth for each of us is really a short one that leads into the birth of eternity at death…it’s what we do with this time here that shapes our real future in that eternity – no matter what 2012 brings! For me 2012 just brings another step in my walk of faith with God and commitment to walk in love as best I can. It also brings a new commitment to commence writing regularly at this website again, after an incredibly busy 2011.. GO!!! PREACH UNTO THE NATIONS! I take very seriously His command to preach; to be able to be eyes of faith for those who doubt; words of consolation for those who are in pain; words of encouragement for those who struggle and words of firm certainty for those who have lost hope. Please let me be a witness that opens you up to the truth of our existence and the truth of our God. Please let me be the hand that reaches to help you up if you sit lost or in despair. Please, let me be a beacon of faith and hope if you sit in apathy without direction. Your life does have a purpose. And a great one! Do not waste a moment in putting one foot in front of the other in finding yours…I pray for you and I know the angels are working unseen in your life too to bring you to your destiny with God. Having said all this, we sit in very uncertain times. All the more reason to reach for a rock of stability! This rock is God – love. As I prayed about the sharing of the experience of God that follows chronologically since my last writing, I felt a prompting to Ezekiel 19 and 43. I leave it to the reader to discern the relationship to the next dream experience of Jesus that I share today. Ezekiel 18:30…Therefore I will judge you, O house of Israel, all of you according to your ways, says the Lord God. Repent and turn from all your transgressions; otherwise iniquity will be your ruin. Cast away from you all the transgressions that you have committed against me, and get yourselves a new heart and a new spirit! Why will you die, O house of Israel? For I have no pleasure in the death of anyone, says the Lord God. Turn, then, and live…Ezekiel 19: As for you, raise up a lamentation for the princes of Israel, and say: What a lioness was your mother among lions! She lay down among young lions, rearing her cubs. She raised up one of her cubs; he became a young lion, and he learned to catch prey; he devoured humans. The nations sounded an alarm against him; he was caught in their pit; and they brought him with hooks to the land of Egypt. When she saw that she was thwarted, that her hope was lost, she took another of her lion cubs and made him a young lion. He prowled among the lions; he became a young lion, and he learned to catch prey; he devoured people. And he ravaged their strongholds, and laid waste their towns; the land was appalled, and all in it, at the sound of his roaring. The nations set upon him from the provinces all around; they spread their net over him; he was caught in their pit. With hooks they put him in a cage, and brought him into custody, so that his voice should be heard no more on the mountains of Israel. Your mother was like a vine in a vineyard transplanted by the water, fruitful and full of branches from abundant water. Its strongest stem became a ruler’s scepter; it towered aloft among the thick boughs; it stood out in its height with its mass of branches. Dreamt I came home to find vomit and filth over all the white carpets of this house. The children who had been given use of the house had become very ill. The parents (their names mean ‘firebrand/sword’ and ‘mighty power’ ) had been trying a long while to clean it, but they were exhausted and could do no more, even though the filth was still there. All levels of the house had this. It wasn’t the parents’ fault – it was the children – so ill! I came to the kitchen and saw the character in the dream whose name means ‘mighty power’, and I saw her hang up her gloves and put her cleaning utensils away. The character whose name means ‘firebrand’ sat by dejectedly, surveying the scene of the children’s illness – unable to do more. I saw this and sought to help. I grabbed my tools to help clean, even though I too, was exhausted. I looked to the area where I kept my cleaning utensils, grabbed several and many bags to pick up filth and branches of a large tree that for some reason had many of its leaves and branches shaken off of it – broken off everywhere on the living room floor. Parts of the tree branches were everywhere – scattered across the living room. I cleaned and picked up as best I could, but it never could be cleaned. I was led to the back yard which became very large and the third party showed me that there was a problem in the neighbourhood with the underground sewar system. Eruptions were breaking out everywhere (look at our society lately!). Big holes of erupting sewage broke out – scattered all over the back lawn of this house. I was told that it was not my fault that this was happening, and that this was coming from a huge problem elsewhere – it had seeped from these Eastern regions into the West…I was shown that it just could not be cleaned and that the entire ground had to be razed and cleared or excavated to clean up this huge mess. Areas that had once been beautiful with long, lush, green grass were raised, rubble mess – no green. Then I was led and rounded the corner and was all of a sudden in a dangerous neighbourhood – full of Middle Eastern and Egyptian men with weapons. They were menacing and warlording. I was taken there by this third party. I was being protected and cautioned that this was very dangerous territory. This part of the dream was fuzzier, but I think I was being shown how this part of the neighbourhood (world) was corrupting/corrupted – part of the cause of the filth and mess and breakdown and overflow into my area (west). Then I was shown the most immense, horrifying thing – VERY VIVID & EMOTION-FILLED – LARGER THAN LIFE – SCARY AND VIOLENT! thing…The whole scene, which became a city before me, became an area completely turned to stone – everything ALL stone – all one colour of pinkish sandstone. I saw it be violently erupted from underground upheaval like an immense earthquake – shaking of the earth/elements – the whole thing was raised up with great and massive violence – this rock city – and it was tumbled and completely destroyed! Such MASSIVE and complete destruction was caught up in this lifting up of this stone city and it was brought crashing to the ground in immense destruction! Complete destruction! He was also made of the same stone of the same colour – a solid rock Jesus/man – huge in size- so large He was like a large statue towering over this stone city as it was being violently lifted and crumbled and destroyed. He was immense and towering over it. He watched and it appeared He was in command of these violent, churning, whirling elements/destruction (or part of them – in unity with them – hard to explain). My love! My most beautiful Love! How I adore Thee!!! How I miss Thee!!! I stood to the right of this scene as I watched this being done, which put me to Jesus’ left side, but back and away as a third party observer – as if I too hovered and watched to be shown this scene. It was like the horrifying climax of a movie of surreal proportions. Then he brought me to the gate, the gate facing East. And there, the glory of the God of Israel was coming from the east; the sound was like the sound of mighty waters; and the earth shone with his glory. The vision I saw was like the vision that I had seen when he came to destroy the city, and like the vision that I had seen by the river Chebar; and I fell upon my face. As the glory of the Lord entered the temple by the gate facing east, the spirit lifted me up and brought me into the inner court; and the glory of the Lord filled the temple. While the man was standing beside me, I heard someone speaking to me out of the temple. He said to me: Mortal, this is the place of my throne and the place for the soles of my feet, where I will reside among the people of Israel forever. The house of Israel shall no more defile my holy name, neither they nor their kings, by their whoring, and by the corpses of their kings at their death. When they placed their threshold by my threshold and their doorposts beside my doorposts, with only a wall between me and them, they were defiling my holy name by their abominations that they committed; therefore I have consumed them in my anger. Now let them put away their idolatry and the corpses of their kings far from me, and I will reside among them forever. As for you, mortal, describe the temple to the house of Israel, and let them be ashamed of their iniquities. When they are ashamed of all that they have done, make known to them the plan of the temple, its arrangement, its exits and its entrances, and its whole form – all its ordinances and its entire plan and all its laws; and write it down in their sight, so that they may observe and follow the entire plan and all its ordinances. This is the law of the temple: the whole territory on the top of the mountain all around shall be most holy. This is the law of the temple. My understanding of the bible is extremely limited, so I defer to those more knowledgeable than I in discerning the hidden meaning of my dream. May God bring forth wisdom and light in our hearts to truly know ourselves and God, and turn from the wrong paths we’ve been on and let ourselves be healed by the glorious mercy and love which pours from the heart of Jesus. Amen.